Home > Symptoms > What Effects Can a Gluten Allergy Have? The effects of a gluten allergy can be quite severe. While many food allergies are minor and result in perhaps a rash or an upset stomach some effects of a gluten allergy can be severe. The effects of a gluten allergy can differ considerably. The effects depend on the person who is suffering with the illness. The symptoms can be minor or major depending on who is suffering from the disease. Minor symptoms can include headaches and nausea. Sufferers may feel ill when they have consumed gluten-based products and may have severe headaches that occur after consumption of gluten. Gluten is found in wheat, rye and barley and therefore is present in most cereals and bread. Some people with a gluten allergy suffer only minor symptoms. In fact some people with a gluten allergy are able to go through life with very little disturbance to their daily lifestyle. Those who are not that lucky may experience some minor symptoms. Minor symptoms include constipation and diarrhoea. These bowel problems may not be as severe as those with severe gluten allergies could experience but they can be disruptive and uncomfortable for those experiencing them. Some sufferers of gluten allergies suffer more severe reactions to the illness. It is possible to have depression from a gluten allergy. Sufferers may experience low feelings and tearfulness as part of their illness. It is also possible to feel bloated and suffer from symptoms similar to those of irritable bowel syndrome. The sufferer may feel uncomfortable and find the effects interfere with their lifestyle. There are also some serious effects of gluten allergy. Some sufferers are left more at risk of bowel cancer than those people without a gluten allergy. Gluten allergies can cause growths in the small bowel which may develop into lymphomas. It is important not to panic though as the increased risk of cancer only occurs in a certain number of cases and is actually quite rare. Unfortunately the threat against the sufferers life is not the only problem when it comes to gluten allergies. If a pregnant lady has a gluten allergy then there is an increased chance of her suffering a miscarriage. This is only the case in severe cases and the mother of the unborn child should not worry unduly. However it is a possibility so if you have a gluten allergy and you are pregnant it is certainly worth seeking advice from your doctor. He or she will know whether it is necessary to consult the hospital. Similarly if you think you may be more susceptible to cancer because of your gluten allergy then you should speak with your doctor. It is important to detect these things early so that they may be treated. 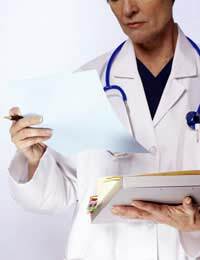 If you have any concerns it is vital you seem professional medical help as soon as possible. If you think you may have a gluten allergy then you should speak with your doctor and ask for a test in order to establish the exact cause of your symptoms.